Have you ever wanted to send sensitive information by email securely? Regularly, emails are sent in plain-text, which allows hackers and anyone with an unauthorized access to your email to read your emails easily. Hence, encrypting your sensitive emails adds an additional secure layer to prevent such intrusions. 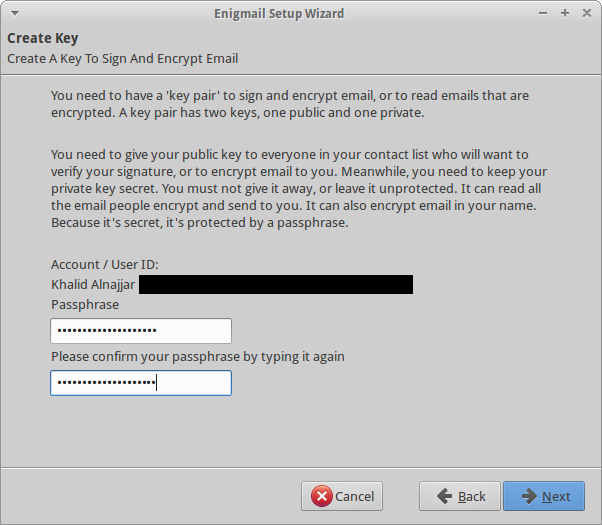 So, how to encrypt your emails? There are multiple ways to achieve that but I will be explaining the most common and open source approach. 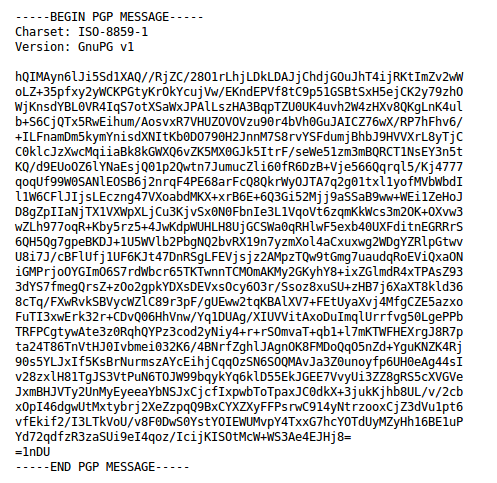 Additionally, note that both the sender and receiver must have these tools (or similar if using the same protocols) to exchange emails securely. 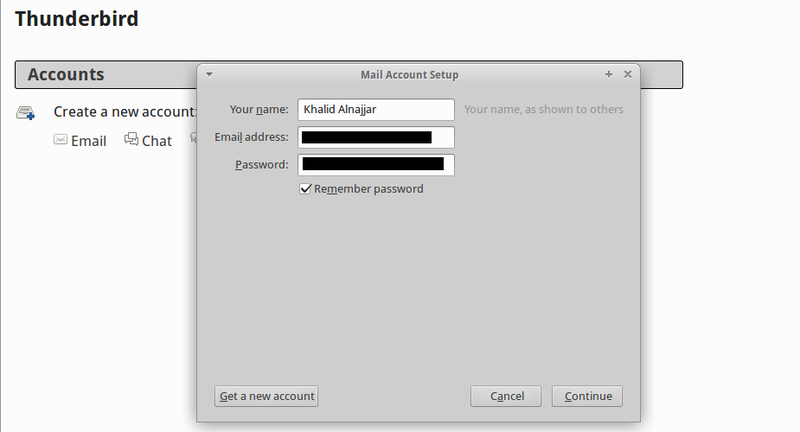 Download Thunderbird Email Client, and then set up your email. Once done, download and install GNU Privacy Guard. 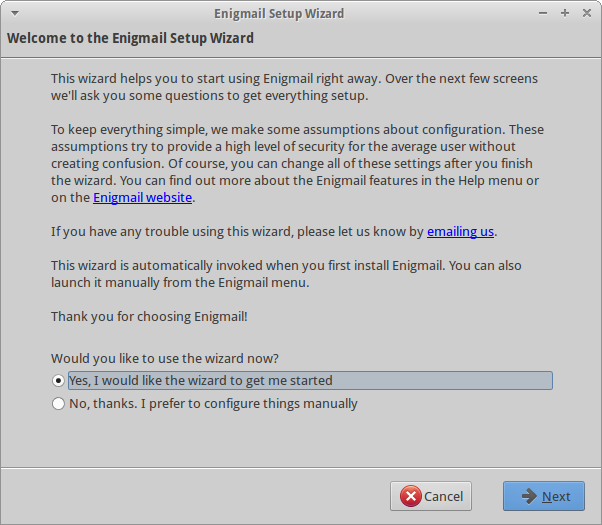 Afterwards, install Enigmail Add-on by going to Add-ons in Thunderbird and searching for “Enigmail”, and clicking on install. 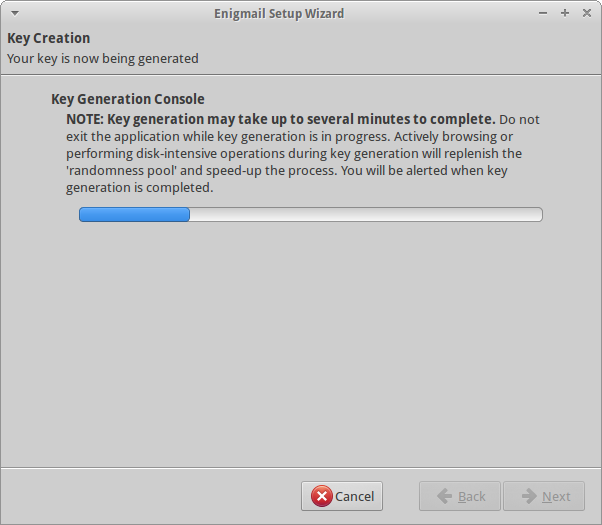 Restart Thunderbird for the Enigmail add-on to take effect. 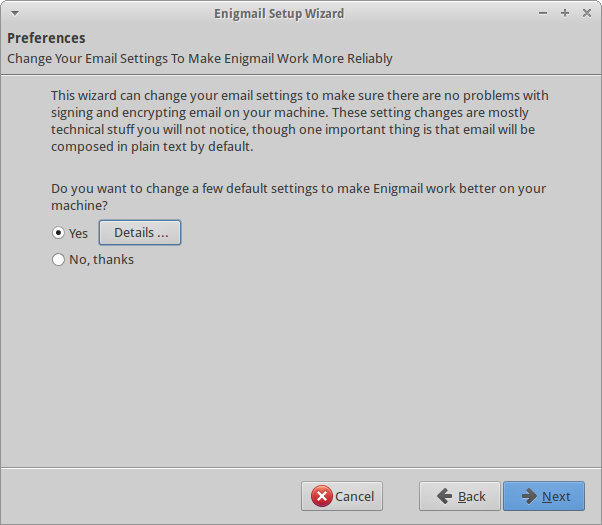 Now, you need to setup your email with Enigmail. 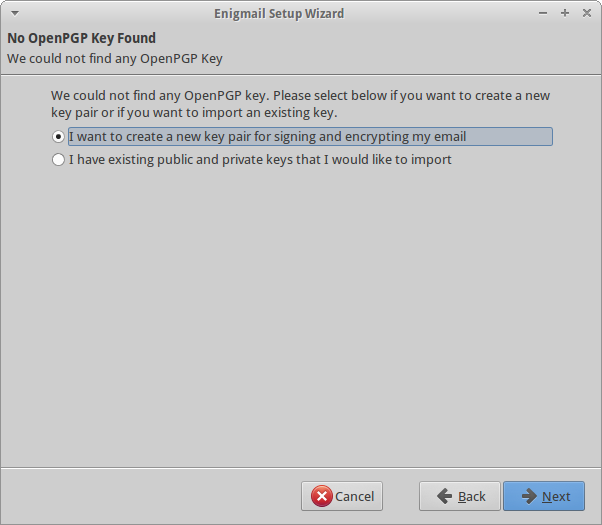 Below are step by step instructions on how to setup your email and send your first secure email. Feel free to adjust the setup options according to your needs. It is strongly advisable to use pass-phrase for your key pair, make sure it is a strong one and not easy to guess. Generate a revocation certificate for your key and insure that it is saved securely. 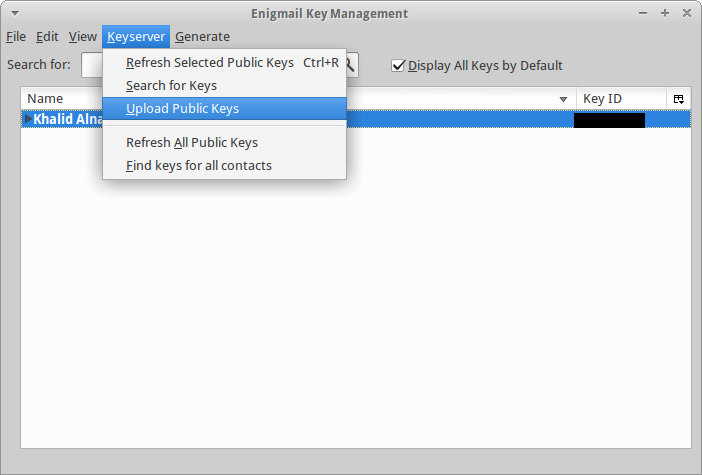 By going to Tools-> Enigmail->Key Management, you can upload your public keys to key servers to allow receivers find it. 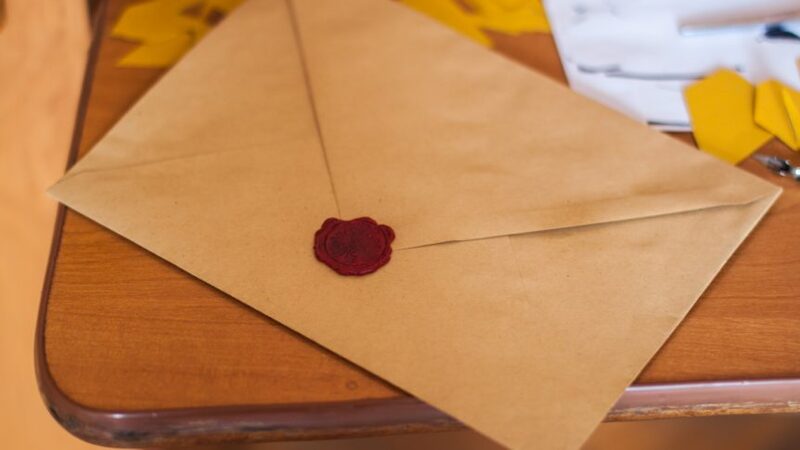 Write your email. 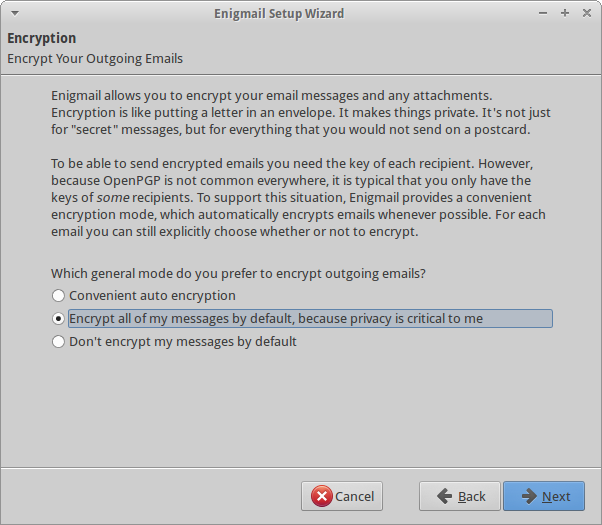 Enable email encryption if you did not enable it by default from Enigmail dropdown menu. 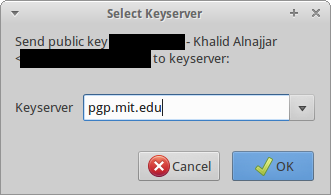 In case if you do not want to upload your public key to a key server or the receiver has no access to the key server. 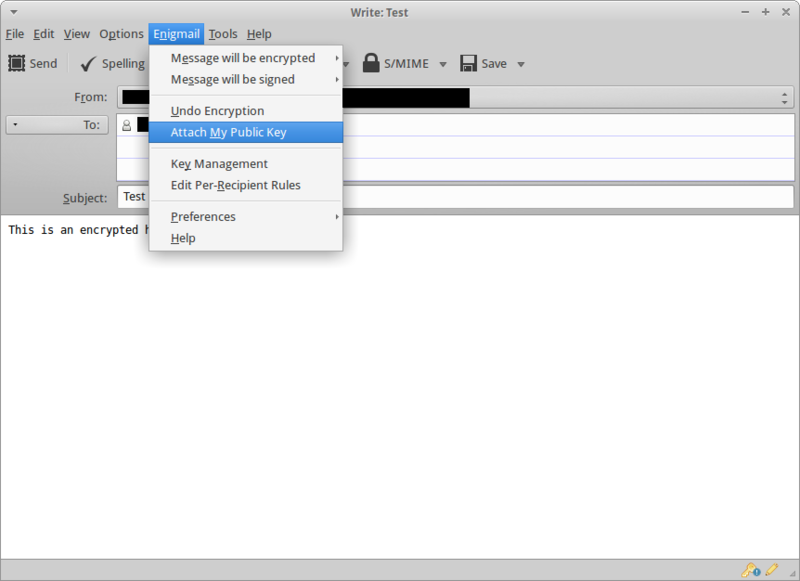 You can attach your public key to the email. 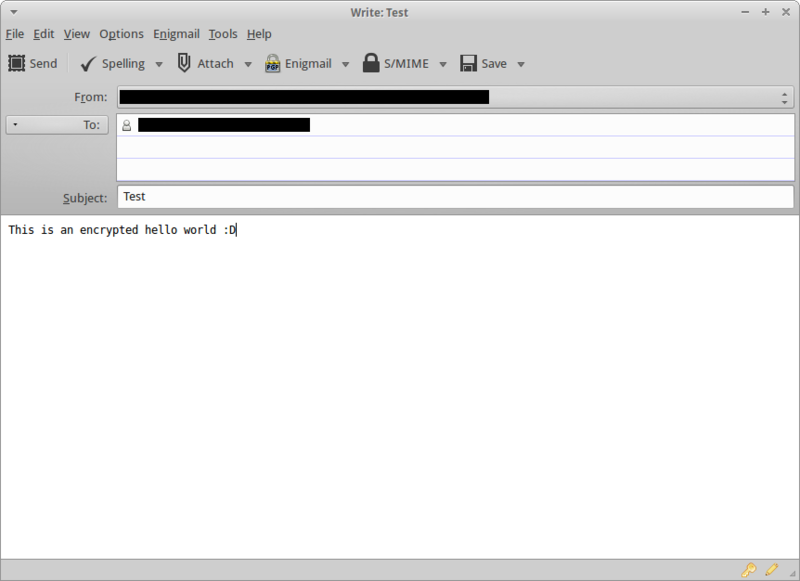 This is how simple and easy it is to communicate through emails securely.